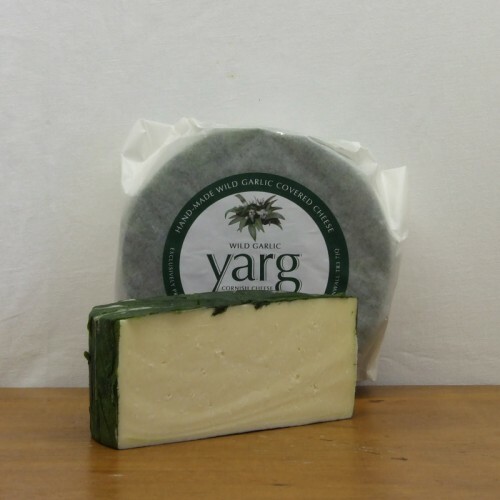 Wild Garlic Yarg is made to the same recipe as its nettle rinded Cornish Yarg sister but is wrapped instead in the pungent wild garlic leaves that burst into life in Cornwall’s woodlands each spring. As these vibrant leaves contain more moisture, the all-important moulds take longer to develop. This results in a cheese with a truly distinctive and unusual flavour and a slightly firmer texture. Unlike bulb garlic cheeses, it is not harsh in taste but is a fresh and gentle reminder of the allium plant.